IGF-1 – insulin – represent a hormone similar to Human Growth Hormone, but first one being more important and powerful. IGF-1 – Insuline Growth Factor is one of the most important hormones in the human body, affecting almost all cells (muscle, cartilage, bone, liver, kidney, nerves and skin). This hormone is widely used by athletes and bodybuilders. Advantages that can be achieved at time of taking IGF-1 LR3 make it popular in bodybuilding. Sportsmen usually report muscle growth, regeneration of nerve tissue, fat burning, reduction of protein breakdown, improvement of the production of white blood cells. IGF-1 destination is muscle repair after injury and increase the rate of muscle growth from training. ScienceDaily – Using high-resolution microscopy, researchers at the National Institutes of Health have shown how insulin prompts fat cells to take in glucose in a rat model. The findings were reported in the Sept. 8 issue of the journal Cell Metabolism. By studying the surface of healthy, live fat cells in rats, researchers were able to understand the process by which cells take in glucose. Next, they plan to observe the fat cells of people with varying degrees of insulin sensitivity, including insulin resistance-considered a precursor to type 2 diabetes. These observations may help identify the interval when someone becomes at risk for developing diabetes. “What we’re doing here is actually trying to understand how glucose transporter proteins called GLUT4 work in normal, insulin-sensitive cells,” said Karin G. Stenkula, Ph.D., a researcher at the National Institute of Diabetes and Digestive and Kidney Diseases (NIDDK) and a lead author of the paper. Mice, manipulating DNA and muscle-building viruses: The next big scam or the future of bodybuilding? Hot on the heels of the myostatin scam, more research into genetically enhanced muscle growth has caught the attention of athletes across the world. You may have read some reports in the media of research by Dr. H. Lee Sweeney and colleagues that have recently shown that genetic manipulation combined with resistance training can dramatically accelerate muscle growth. Dr. Sweeney heads the Physiology department at the University of Pennsylvania. The main interest of these scientists is in muscle regeneration from injury and disease. As part of this current research study, these scientists investigated the effects of transferring growth-factor genes into muscle cells to accelerate muscle growth during exercise. And, they have been successful. Using recombinant DNA technology, the researchers created a piece of DNA that codes for Insulin Growth Factor-1 (IGF-1); the muscle growth stimulator. DNA is the genetic code the body uses to construct proteins within the body. Imbedded within our DNA is a code that creates every protein that the body needs, whether it is an enzyme for breaking down food, a component of muscle tissue or a hormone. Recombinant technology “re-combines” the components of DNA to produce a blueprint for a protein that the scientists may want to examine; in this case, the DNA code was for IGF-1. Despite the recent media interest, the research involving the insertion of new DNA into muscles was first published in 1998. Read moreMuscle-Building DNA Viruses, AWESOME! Yes, I know insulin is not an anabolic steroid, but in this wild world of competitions there are many other compounds used. Is Insulin dangerous? Take a look a this basic information. 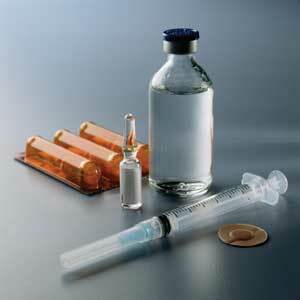 Insulin: The Double Edged Sword that makes you HUGE! The title of this article is not a joke. Insulin is probably the most effective anabolic hormone currently used in the arsenal of top bodybuilders, but at the same time one of the most dangerous, if used incorrectly. 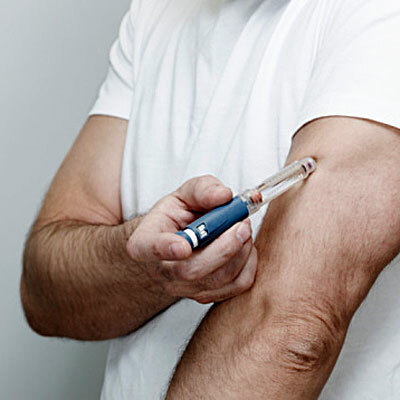 Death – The real danger of exogenous insulin use is hypoglycaemia (low blood sugar) and in extreme cases this condition can cause the athlete to fall into a coma and possibly death. Diabetes – In theory insulin use can cause your pancreas to stop producing insulin or make it insulin resistant, this can lead to diabetes. It can make you extremely fat – To a bodybuilder this is a major danger and if not used correctly will turn you into a fat mass. There can be, like most other bodybuilding drugs, many other smaller side effects, mostly related to low blood sugar, such as drowsiness, sweating, distress, hunger, anxiety etc, these will subside once sugar levels are normalized. Now that that is out the way, we can get down to the nitty gritty.